The present time is perfect for Australia Immigration for skilled workers, keen to move abroad for a better life and earn handsome pay packages. Presently, this highly developed global economy has a large number of job–openings for those who are skilled and deserving, and of course, keen to settle in the country. So, if you are one of those skilled workers who dreams of Australia immigration, then seize the moment and kick-start the visa application process! But then Australia Immigration is a win-win idea for both Skilled Workers and the country. While the former gains by getting a chance to move to the country, earn handsome wages and showcase their skills at the highest stage; the latter gains in terms of world-class trained workers and wonderful assets to fill the large number of openings across numerous fields, and also boost its economy and make it more competitive on the international stage, and steal a march over its numerous competitors. The Australia Immigration Organization, namely, the Department of Home Affairs (DHA), that’s responsible for managing and offering visas to the aspirants, including those who are skilled workers, offers numerous kinds of easy-to-follow skilled visas. The visas categories shared here under are basically points-tested even as a SkillSelect Expression of Interest (EoI) is obligatory for each of these. Skilled – Independent visa (subclass 189: It is a very good Australia Immigration option for the Skilled Workers. It is essentially a permanent visa even as there is no need whatsoever at all for any kind of sponsorship for it. Skilled – Nominated visa (subclass 190): It is also a permanent visa. For it, sponsorship is needed. As per the laws of the land, you must have nomination from an Australian state/territory administration. Skilled – Regional (Provisional) visa (subclass 489): Yet another very good Australia Immigration option for Skilled Workers, the visa is proffered with a maximum legal validity period of 4 years. You need sponsorship for the visa from an authorized family member. Skilled – Regional (Provisional) visa (subclass 489): State or territory nominated–Much like the Skilled – Regional (Provisional) visa (subclass 489) category, it is also provided with a maximum legal validity period of 4 years. To get it, you need nomination from an Australian state/territory administration. 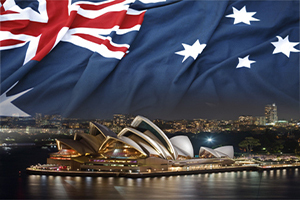 Now let’s check the key requirements for Australia Immigration Visa for Skilled Workers! Without fulfilling these, you cannot move to the country of your dreams despite having in-demand skills. Age: To begin with, you must be below 45 years old at the time of submitting your application for immigration. If you are younger, it will go in your favor and boost your chances of getting a skilled visa. English language: You should have adequate capability in the English language to do a job in the nation (not less than at a rather competent stage). If your language skills are not good enough, take language classes to make it better before you apply! Nominated profession: You require nominating a skilled line-of-work, which fits your specific skills and qualifications. It is mandatory that the said line-of-work is given on the Medium and Long-term Strategic Skills List. Skills assessment: Prior to you apply it is mandatory that you have got your skills duly reviewed by the Australian assessing body chosen to examine your nominated profession (which will more often than not have particular qualifications requirements). Health appraisal: Your health must be pretty good and you must not suffer from any communicable diseases. As per the requirements, you also need to get your health examined by a panel doctor and go through a medical examination. Character assessment: Your character must be good; it will also be evaluated. For more information and help on the subject, check with an expert and trusted visa agent. And with his help and guidance, facilitate immigration to Australia as one of the skilled workers!